Florida owned and operated, Jacobsen Homes has led the manufactured homes industry with the latest technology, craftsmanship, and design. We take pride in being the oldest and finest manufactured home builder in Florida. Today, we are the only solely-owned manufactured home builder in Florida. 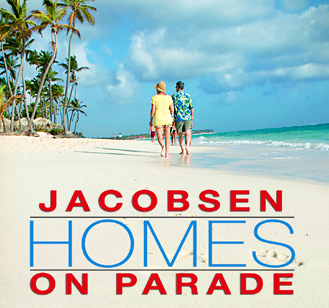 Since 1959, Jacobsen Homes has had one goal: to build homes that are specifically designed and engineered for Southern living. We have learned that our customers each have a special set of requirements when selecting their new home. So, we have developed what we call a "flexible" product: a home that allows you to incorporate your personal taste in the floorplan and in the decor. People who are shopping for the home of their dreams find it to be an exciting and challenging pursuit. After all, there are many beautiful manufactured home communities. If you would prefer not to live within a planned community, there are numerous spacious parcels of land that grace Florida's countryside where you can place your manufactured home. Today, over 55,000 people have chosen to live the manufactured home lifestyle in a Jacobsen Home. Buying a new home is an important decision. So, we urge you to look carefully. Compare our homes to others in any price range, and we think you'll agree that a Jacobsen Home is the finest, most affordable value anywhere.